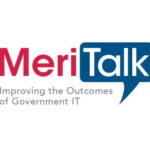 In an effort to close the technology innovation gap between the public and private sectors, some federal agencies are getting creative with procurement techniques, according to MeriTalk. Two new sections in the National Defense Authorization Act promote a faster process for firms to highlight their capabilities within the Federal marketplace, competing in a peer-reviewed proposal selection process. Think of this as an agency “shark tank” with a same-day funding decision. Acquisitions can occur using streamlined procedures (think contract award within 30 days of agency “shark tank”). Using these streamlined procedures, the agencies would be able to accelerate the transition of new technological solutions into operational use by the agency users.